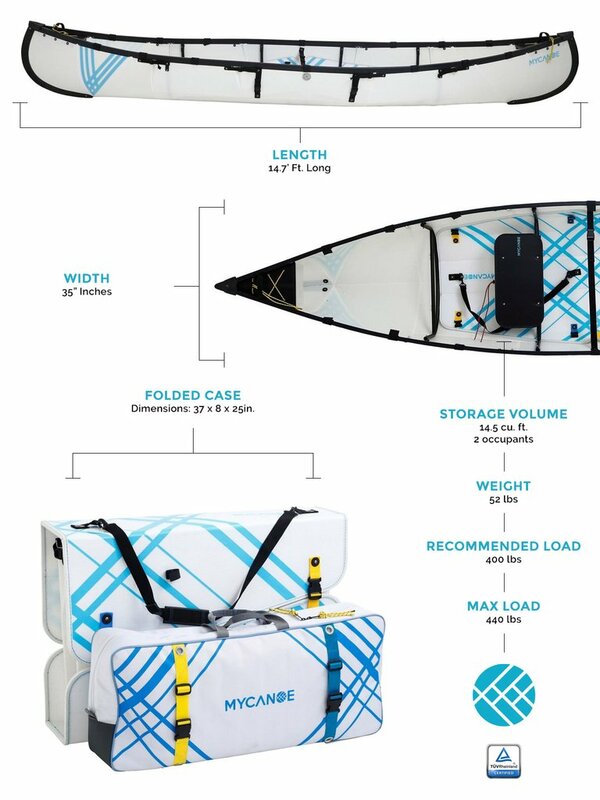 The Canoe 2.5 Plus is a lightweight, patented foldable canoe that comes with an oar lock kit. All the specs are the same as the canoe 2.5. 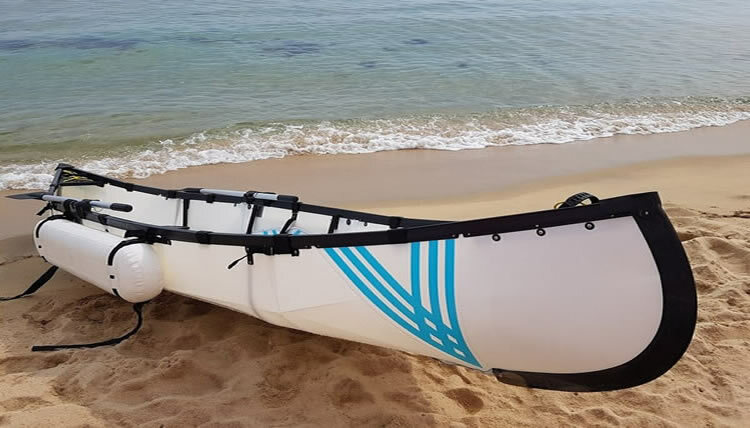 The plus version allows the attachment of two paddles for long trips or for those that prefer to row instead of paddling. The plus version also comes with two seats, two oar locks and two paddles. 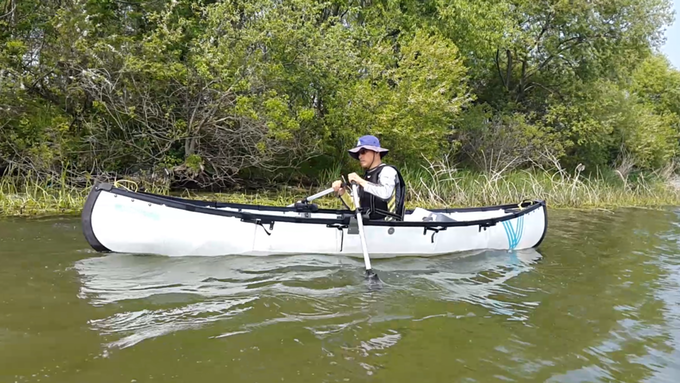 The award winning MyCanoe is TUV certified, comparing both better or similar to other canoes. 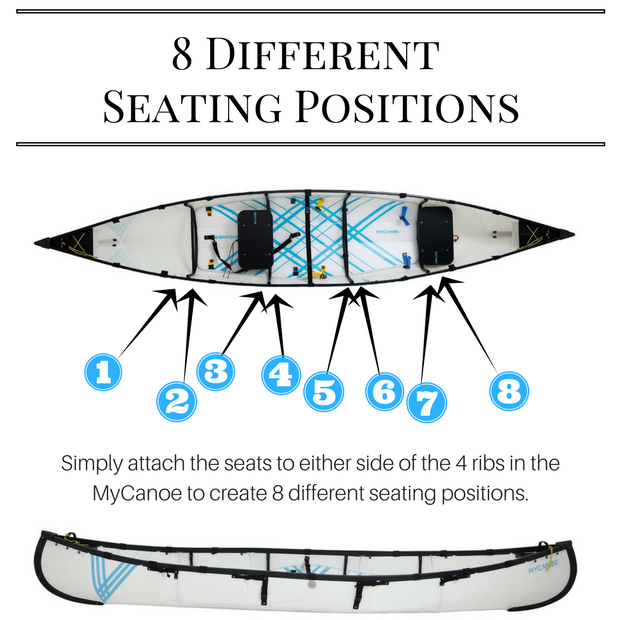 With 8 different seat positions, the possible ways to enjoy your MyCanoe are limitless. The oar lock kit works brilliantly to keep paddles attached to the canoe so you can row effortlessly and easily without fear of the paddles floating away. Why paddle when you can row? 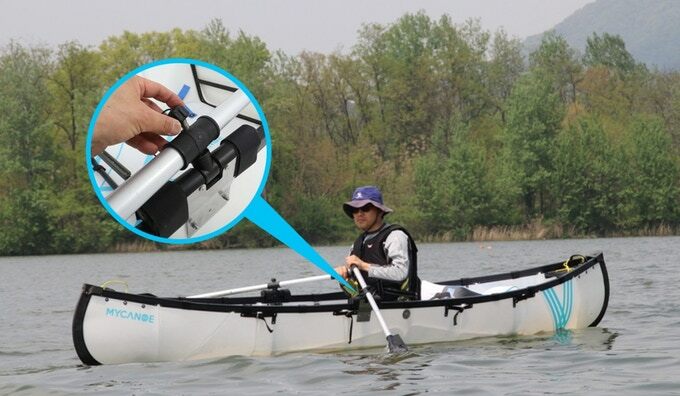 Our innovative oar lock kit allows you to row your canoe in style. Slide gracefully through the water with speed! Comes with a set of oar locks and a set of oars. The MyCanoe will be your go-to craft providing you with a solid packable boat that doesn't sacrifice performance in the water. However, you might be thinking..."Is it safe?" Short answer is YES. And more so than other canoes for the reasons below. 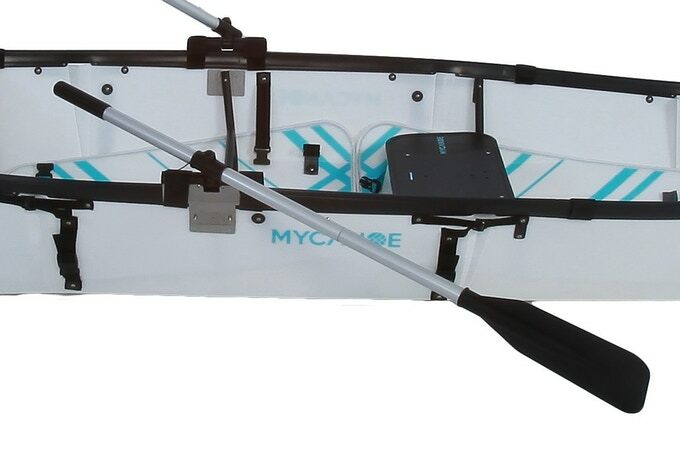 MyCanoe can hold up to 440 lbs. With the stabilizers, it can hold up to 750 lbs. 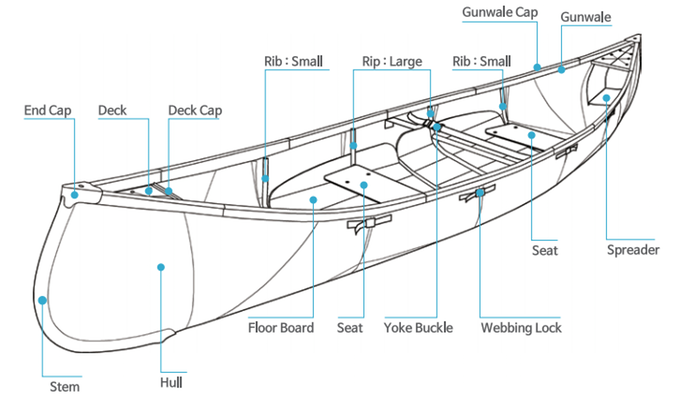 The award winning MyCanoe is TUV certified, comparing stringently both better and/or similarly to other canoes. On the off-chance that you have the misfortune of capsizing, there is no need to worry as MyCanoe still floats when capsized! Enjoy the freedom of canoeing !